#altc – Do academics dream of electric sheep? This was the presentation I did, alongside fellow learning techs Rosie Hare and Marcus Elliott, at the Association of Learning Technologists (ALT) conference 2017. 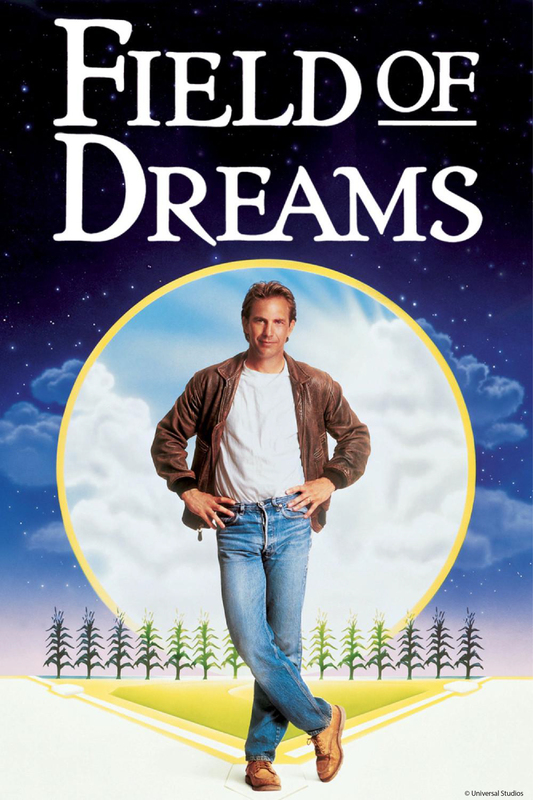 The full title was Kevin Costner is a liar: Field of Dreams and other EdTech fallacies. The session culminated in a discussion around the question: Is limited innovation, impact and staff engagement our fault? The abstract, slides, video, Padlet and Storify are all available online. Fill your boots. What the hell was it about? Obviously, you can go and read the abstract if you want, but in short, we wanted to ask a difficult question. We wanted to irritate people by making provocative statements and then make them talk about it. We could have been academically rigorous and presented a balanced argument but who’d want to watch that? Also, we’d have done all the work for the audience. I’ve been to a lot of conferences recently, ALT is a particularly fine example, where people show all the clever shiny things they’ve done and we all pat each other on the backs for a job well done. 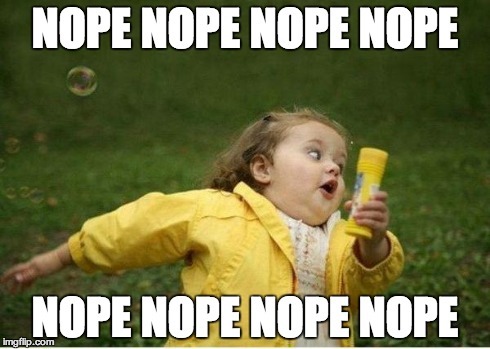 Then follows the inevitable question, “how did you get academics to engage”, or even worse the inevitable comment, “my academics won’t do that/aren’t interested”. This presentation was an attempt to challenge some of that thinking. Whether we like to admit it or not, we are often inclined to blame/complain about our academic colleagues. If we were doing it right, would we still be asking these questions? Something to consider. The title is a good hook to get people to come to the session. We could have called it “Exploring the attitudes and assumptions of learning technologists and their effect on engagement, innovation, and impact”. I got bored writing that. So we decided to base it on something fun and the theme really made the session. It also was an excellent basis on which to begin our fallacies. Fallacy 1: If you build it, HE will come. The brilliant but often misquoted line from the movie Field of Dreams is “If you build it, he will come”. We decided to misappropriate that line and say “if you build it, Higher Education (HE) will come” (snarf). This is the idea that if you plug something in, people will immediately want to use it. But wait, no one really thinks that do they? In an ideal world no, but the reality is, there are some out there who do. IT departments are a good example. They seem to think they can replace the email system without providing any help. In my experience people have lots of motivations for using or not using technology. There are very few academics who will use something just because it’s there and fewer still who have the knowledge and confidence to use something new effectively. We can plug stuff in, but there’s a lot more work to be done to get people to use it. Fallacy 2: Technology will solve everything. “We go to technology to be the solution and everyone is disappointed” Lanclos, D. and White, D. 2016. Fallacy 3: We don’t need evidence. “the problem is not the lack of evidence, but one of resistance to change, fear, culture, rhetoric and motivation.” James Clay 2017. This is endemic of the blame culture that I really can’t stand. People’s reasons for not using technology are far too complex to be summed up in a sentence. I have no doubt there is some truth to what James said but I felt it removed any responsibility from us to ‘up our game’ to get them on board. To prove the worth of what we ask them to do. I thought the line was defensive. It reduced skepticism to mere hysterics. Not the expression of genuine concern. It implies THEY don’t get it. Fallacy 4: They don’t get it. “many, I’d argue, misconstrue what the Luddites in the early nineteenth century were actually so angry about when they took to smashing looms.” Audrey Watters 2014. We behave as though our academics are missing something. That they just don’t see what we know to be true, technology is awesome and they should use it. How often do we really bother to find out why they feel as they do? How often do we take the time to understand their motivations? I don’t know what’s best for their subject. I don’t know what’s best for them. To assume is arrogant and lazy. Fallacy 5: They’re not interested. Maybe they’re not? Maybe we haven’t done a great job getting them interested. They only see us when we’ve plugged something in. Or when they have to seek us out. Or when we want to flog the latest thing. Or when we are enforcing the latest institutional mandate. Are we surprised they’re not rushing to work with us? Is limited innovation, impact and staff engagement our fault? Unsurprisingly, the feeling was that it’s a far more complex issue than a yes/no. Obviously, we were deliberately black and white to get some discussion going. The Padlet gives a good idea of the debate and what people thought. It is a joint responsibility. But we can always do better. Try harder. Talk to them. Listen to them. Be human. Clay, J. 2017. Show me the evidence… 13 February. e-Learning Stuff. 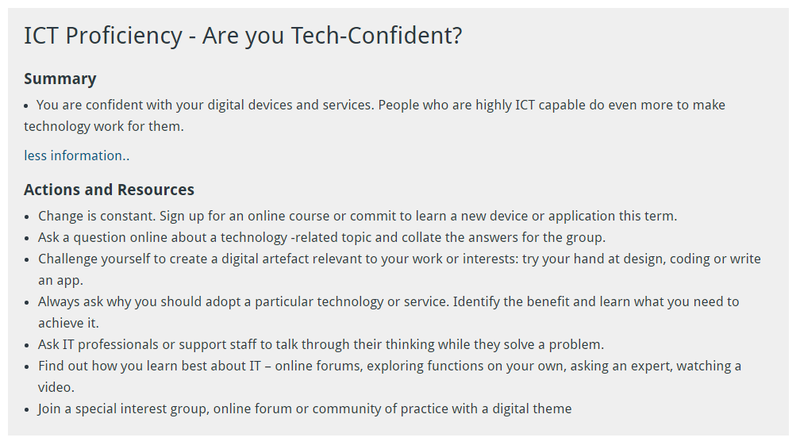 I am passionate about staff and students being supported to develop their digital capabilities. 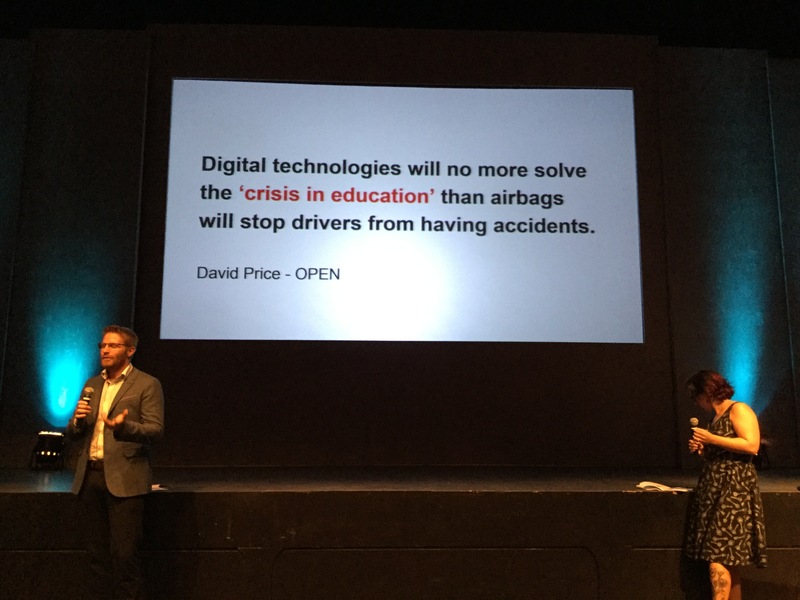 So I thought I’d write a follow-up to the presentation Marcus Elliott and I gave at ALT Conference 2016 ‘Creativity takes courage and digital capability‘. I’ll provide some extra detail that we couldn’t include and answer some of the questions that arose. Why did we start the digital capabilities project? So what made us start this journey? I’ve always been interested in supporting staff to use technology properly. Having spent my entire career trying to encourage staff to use it, training them to use it and seeing first hand the mixture of ability levels, I realised we really need to do more. What we could do and how was not so clear. The project began very informally. Marcus and I had many conversations about digital capabilities and I had always been shocked at how little support there was at the University. So I decided to take the bull by the horns and spoke to my manager. I told her we needed to do something, I told her about the experiences Marcus and I have had dealing with staff and the huge leap using technology is for some staff. Luckily she was very open to the idea and agreed to use her influence to gather a group. We brought together representatives from Educational Development, ICT, HR, Library, Student Services, a representative from all colleges and other interested parties. I presented the Jisc project and emphasised the impact of digital identity and well-being. I have always felt that senior management know that support surrounding technologies are important but often other considerations drop this issue to the bottom of the pile. When we leverage digital capability to the impact on well-being and identity we create a better more persuasive argument. If you can link it to real world examples, for example we had a student who did something naughty on social media, it becomes even more pertinent. Everyone agreed that we needed to do ‘something’ and a group was formed. We formed the Digital Capabilities Group and began to consider what we could do to make a quick impact. We decided to pilot Lynda.com. A number of schools were paying for a licence and it seemed wasteful to spend almost as much per school as it would be to have a site licence given the difference was nominal. The added value for staff and students seemed huge so we asked 100 staff and students from across the University to consider how Lynda.com could be used to support their personal development, their students and in their teaching. We had very positive responses and we hope to secure the funds to roll it out for September 2017. We had been considering how we might gather a baseline of capabilities across the University and were toying with the idea of creating a needs analysis survey. We looked at a few drafts but found they tended to be full of questions about specific software and features. Lots of questions like “are you confident using x”. It was too constraining. Technology changes all the time, list one application in a survey and the next day there’s a replacement. We didn’t want to know whether they could use Microsoft Word, what we were looking for was whether they were capable of handling the changes. Did they have the broad capabilities to handle a variety of technologies. So when we heard at the Jisc Digital Leaders Programme that Jisc had developed a beta discovery tool we were very excited! James Clay, project manager for the building digital capability R&D project, visited us and talked us through the plans for the tool. It was in beta when we joined the pilot and there were a number of improvements that would be made to it in the future. We were sold! James created an instance of the tool for us. We crafted a carefully worded email and sent it out to all staff. We asked a senior member of staff to send it out in the hope it would have more gravitas and we titled it “How digital are you?”. The title was really hard to decide on. I’m still not sure it worked but we didn’t want some tedious title that people would scroll past. We left the tool open for 2 weeks and sent out a follow-up email to encourage the last few people to complete the tool (although that email was sent about an hour before it closed on the last day, thanks Marketing). We had 422 respondents which equated to a 25% response rate at the time. All participants completed the tool which shows it wasn’t too onerous to complete. We were really happy with the response given we did no promotion whatsoever! We received some helpful feedback which we passed on to Jisc and they have improved the tool based on the feedback from all the pilots. We interpreted our results, with the help of James, and have a list of areas we know we need to work on. For example there is work to do around the benefits of social media, copyright and open content etc. Overall we were really pleased with how capable our staff are the results showed we had staff who were willing to try to resolve technical issues themselves, who saw the benefit of collaborative working tools and are interested in new technologies. Obviously I understand that 25% is hardly representative of the entire university but it has given us some areas for development and an insight in to our staff. How does the Jisc Tool work? The tool is completely anonymous the only identifying information is in the designation of the type of role and area of work the user selects before they begin. They can select whether they are in an academic or profession role in FE or HE etc. 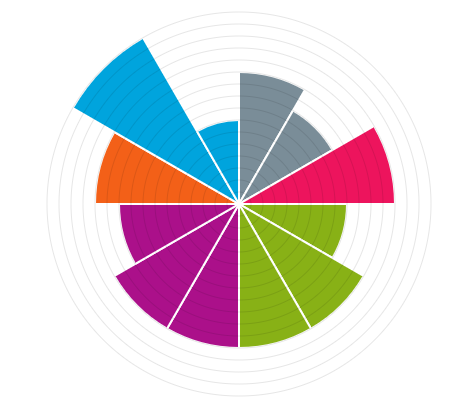 There are currently 48 questions in the tool grouped in to the areas of capability from the 6 elements framework. 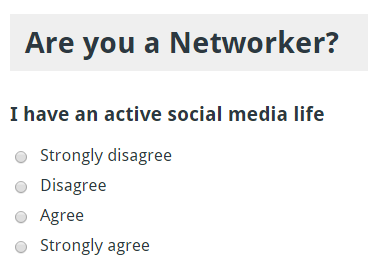 There are four options per question each assigned a weighting from strongly disagree to strongly agree. Once submitted the results create a graph which shows the level of capability in each of the areas. The results also provide some recommendations which help to give staff ideas on how they might improve that area of capability. In the future we will be able to link to our own resources, 3rd party resources and even lynda.com tutorials. Participants can then send the results to themselves. We received the results from the whole survey in an Excel spreadsheet but Jisc are developing a results dashboard which should help to make the interpretation and access to the data. 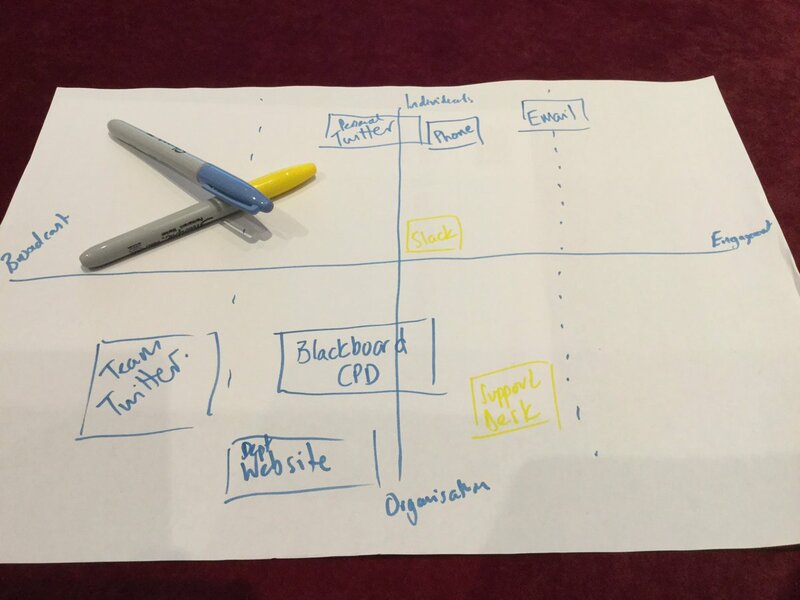 Jisc Discovery Tool or build your own? So should you use Jisc’s Discovery Tool or make your own? That entirely depends on what you want to know. If you want a list of they can or can’t do this then make your own. The Jisc tool does not give you the answers it’s very much about interpretation of the data and understanding what the questions mean. We were lucky that James was able to help us interpret our results, otherwise I am not sure we would have got as much from it as we did. The tool has improved vastly since we used it and I’m excited to try it next year. 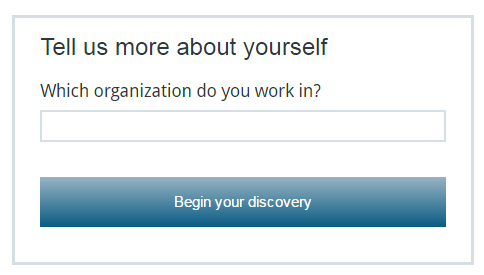 For example we would like to be able to better narrow down the areas in the university the respondents are from and that feature has been added without losing the anonymity. It’s also nice to compare yourself against other institutions. 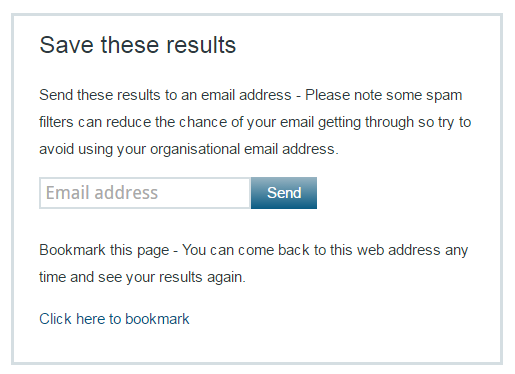 Personally I think the Jisc tool offers something that would be hard to replicate in-house. Firstly it’s hosted and maintained by Jisc so you don’t have to worry about development costs and maintenance etc. Also they have avoided the pitfall of getting caught up in the ‘can you’ type questions. It’s also based on research within in the sector so you know you are getting something that has been rigorously tested and researched. We need to get the hidden 75% how are we going to do that? I don’t really know. We’ve had a lot of changes her so the future is uncertain at the moment. The University is committed to improving digital capabilities and that is wonderful to see. I think our work will be formalised and a more coherent plan of what we will be doing will emerge. 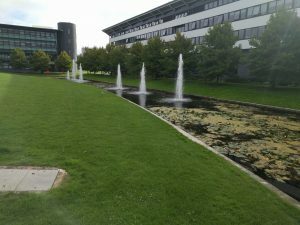 The group will be changed and membership widened to ensure that as many staff and students are represented as possible. I think the Discovery Tool will continue to be improved and we will use it again next year. Digital capabilities are not a quick fix. They are complex. They are time-consuming. There is no one size fits all solution. 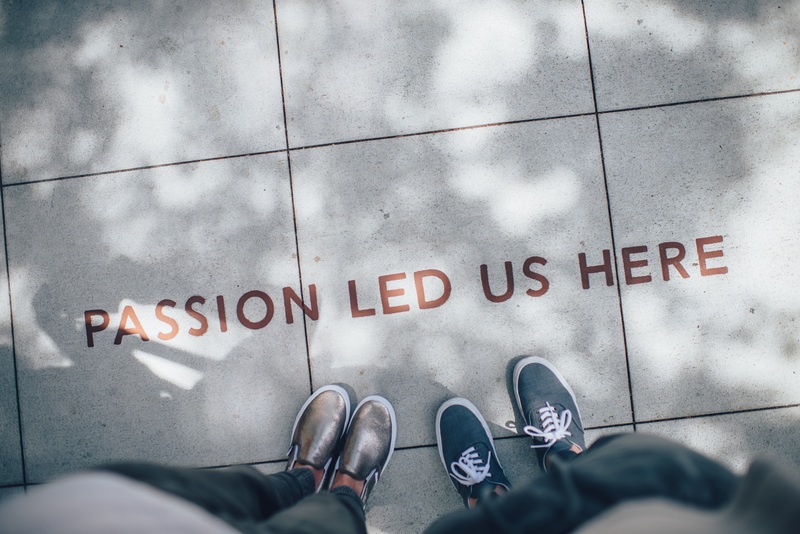 If you’re going to start something you have to be committed and doggedly determined. You’re going to have to push and keep pushing to make sure it doesn’t lose momentum. You’re gonna have to be prepared, and prepare others, for a long piece of work. This isn’t something you can fix in a year-long project. It’s a lot more complex than increasing your CPD offerings. The institution needs to be committed both in time and financially to making a difference. Focus on small initiatives that you can achieve quickly (senior management like to measure progress right?) whilst keeping the huge goal in mind. Get the right people involved who will support you, you can’t do it alone. Sarah Davies: So what’s the challenge? Helen Beetham: What is ‘Digital Wellbeing’? Kerry Pinny: What is institutional digital capability? Kerry Pinny: But what about staff that wont or don’t want to engage in cpd?